Critical Intervention Services is a Largo, Florida-based company that provides a wide range of protection and investigative services to businesses, governments, and individuals in Florida and throughout the world. 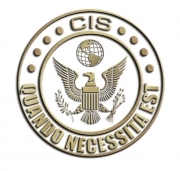 Founded in 1992, CIS is an industry leader in developing and instituting innovative and effective solutions for security and intelligence-related problems, especially those that involve high threat and escalated environments. As a leading provider, CIS has provided protective services for high profile individuals, including Glenn Beck, Senator Bob Dole, civil rights leaders Rosa Parks, civil rights leader Archbishop Desmond Tutu, news anchorwoman Paula Zahn, talk show host Sally Jesse Raphael, Emeril Lagasse and numerous other actors and entertainers. CIS has also provided protective services to governmental agencies, such as the Florida Department of Insurance during fraud investigations and court-ordered receiverships. CIS has also conducted risk assessments and coordinated anti-terrorism deployments for critical infrastructure sites, such as chemical facilities that warehouse ammonia and power generation plants. Furthermore, through our strategic alliance with the S2 Safety & Intelligence Institute, our practitioners provide a wide range of training services to corporations and governmental organizations throughout the world, including the Federal Bureau of Prisons, the US Capitol Police, the US Department of Justice, and the US Special Operations Command.